Cinefex takes a look behind-the-scenes of four movies coming to theaters this winter. 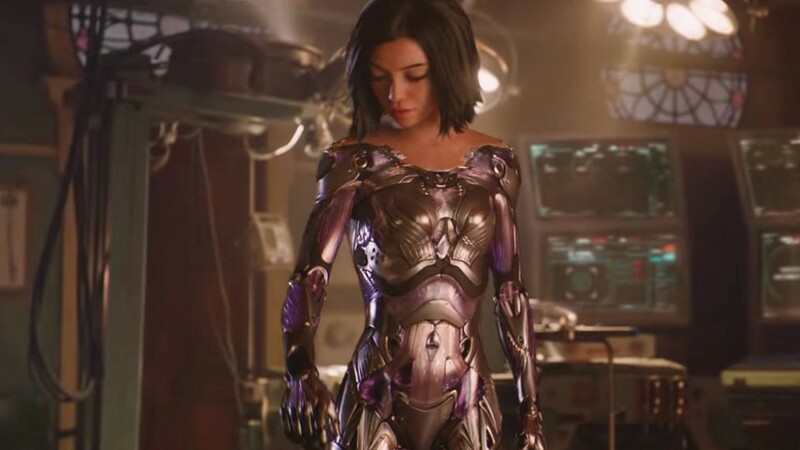 After decades in development, producers James Cameron and Jon Landau present their adaptation of Yukito Kishiro's manga classic Alita: Battle Angel. Brad Pitt, Donald Sutherland, and Tommy Lee Jones star in Ad Astra, a sci-fi space thriller about an astronaut traveling to the boundaries of our solar system in search of his father. The Transformers saga reaches back to the year 1987, when an encounter in a junkyard leads to a relationship between Bumblebee and a troubled teenager. And Emily Blunt shines in the role of no-nonsense but magical English nanny Mary Poppins, who returns to Depression-era London in Mary Poppins Returns, this time to aid the next generation of Banks children.